For this Bitcointalk bounty program, SOUNDEON reserves 3% sold tokens. All of these SOUNDEON tokens will be fully distributed among the SOUNDEON bounty campaign participants. As the total amount of participants is unknown, the SOUNDEON token will be allocated based on a predetermined amount for each bounty campaign. We are looking forward to engaging with you! **If we get less than 50 participants in any campaign until the end of the crowdsale, we'll reduce funds by half for the respective campaign. Except for Translation campaign. Bounties will be distributed after the end of the ICO. Once an ETH address is submitted, it will not be changed for any reason. Be careful when submitting your ETH address. You will find a detailed list of different bounty campaigns below. Join now on the SOUNDEON BountyPortal! ** Twitter stakes count are not instant. Twitter stakes counted after every 12 hours . ** Facebook stakes count are not instant. Facebook stakes counted after every 24 hours . ** Stakes for Telegram/Newsletter bounty will be added at the end of crowdsale. - The limit for likes and shares is 3/ day and comments 1/ day. - For Comments, minimum of 75 characters or more are required OR they won't be counted. - Your Twitter account needs to have at least 100 real followers. 1. After creating a link, please post here your submitted link. - For translating the ANN you will get 100 stakes, and for moderating you'll get 5 stakes. - For One Pager translation, you will get 100 stakes. Please, post these details in the thread to reserve your translation. Please reserve your translation here, I'll manually check your reservation and PM the best eligible person. Everyone can participate by preparing a 500+ words blog post and publishing it online or by creating a video. 2. Articles and videos must be original work. Copying other people’s content is not allowed. (You can use official images, logos, graphics posted on the website, ANN thread, Facebook, and Twitter). 3. Articles must be longer than 500 words. Articles below 500 words will not be accepted. 5. Articles must have 2 links to the official project website (http://soundeon.com/) and a link to the whitepaper(http://soundeon.com/Soundeon_WP.pdf). Make sure to place your ETH address at the end. 6. 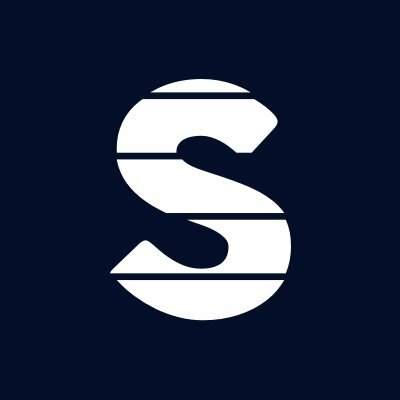 In the description of a video, you must have one link to the official website (shttp://soundeon.com/), one link to the whitepaper (http://soundeon.com/Soundeon_WP.pdf), and your ETH address. 7. In the description of a video, you have to write 70+ words original text about the SOUNDEON project/ICO. Before you start, please post the website on which you plan to post the blog post on. We will check if it's eligible for this campaign. All stakes will be given out after the end of the ICO. Max 5 posts will be counted per week in local board.